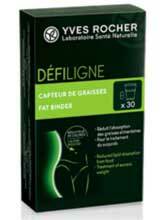 Défiligne Capteur de Graisses is a fat binding product distributed by Yves Rocher. The company markets numerous other health and beauty products under their brand name, all of which appear to be white label products. There is nothing wrong with this, but in many cases the formulations used in products of this nature can be found hiding behind several different labels and the companies marketing them seldom understand how the formulations work. According to the Défiligne Capteur de Graisses sales page, the pills are produced in Holland by PK Benelux. The company is owned by the Swiss pharmaceutical firm, Peters Krizman, so—one way or another—the roots of the formulation are deeply rooted in European soil. PK Benelux is responsible for producing many health and wellness products, including Obesimed and Lucovit, and a high quality standard is maintained throughout the manufacturing process, but customer reviews suggest Défiligne Capteur de Graisses is not one of their more successful formulations. Fat binders contain ingredients the human body cannot digest. The Chitosan that is harvested from the shells of crabs, lobsters, and some other deep sea crustaceans is a good example. The digestive enzymes have no effect on it, so it passes through the body untouched. That’s only half the story though. Chitosan and other fat binding ingredients also have another ability, and it’s an extremely important one. They attract dietary fats and “bind” with them. When the fat from food is bound with a fat binding ingredient in this way the body cannot digest it either, so the resulting amalgamation of fat binder and bound fat travels through the digestive organs without releasing any calories. A gram of fat contains nine calories, so whenever a good fat binder is used alongside a healthy diet it can be very effective for speeding up weight loss. The ingredient used in the formulation are not disclosed in the marketing material on the Yves Rocher website, but it unlikely to be Chitosan because the key ingredient is described as being a plant fiber. 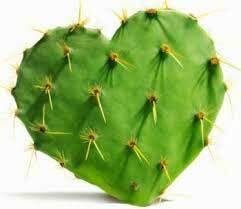 We can only speculate that the formulation’s main fat binding ingredient might be nopal. It’s a cactus derivative with proven fat binding abilities. Nopal further supports weight loss by suppressing the appetite but, even if the formulation does contain this respected fat binding ingredient, good results would require an adequate inclusion rate. Usage Instruction – For Weight Loss, two to three capsules should be taken 15 minutes before meals, twice per day, with water. For weight maintenance, the capsules are taken in the same way but the dose is reduced to one to two capsules, taken twice per day. A box of Défiligne Capteur de Graisses only provides 30 capsules, so even people taking the lowest dose will find they need to open a new box of pills every 15 days. 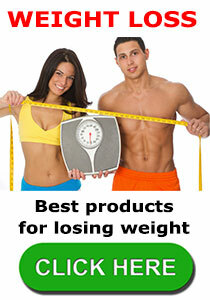 The Yves Rocher website contains a few customer reviews that suggest the product does not work. It’s rare to find a company website that presents negative reviews about its own products, so Yves Rocher are to be congratulated on their honesty. Bearing the amount of dishonest claims made by a lot of diet pill manufacturers, we would have loved to have found some good reviews for this product elsewhere online, but were unable to find any other sources of feedback. Women who are pregnant or nursing a child should never use weight management products unless their doctor has approved them. The same advice holds true for people who are using medication or have existing health problems or concerns. Yves Rocher products can be found on the shelves of many pharmacies and can also be purchased online from the company website. The price is 19,14 € per (30 capsule) box. We review a lot of weight reduction products, including prescription medications, and although we have encountered some very good weight loss aids, many fail to meet the necessary criteria and quality standards required for our approval process. Our reviewers are always fair during the product appraisal process, but products that are added to our approved list need to be effective and safe to use. For this reason a complete ingredient profile is very important. 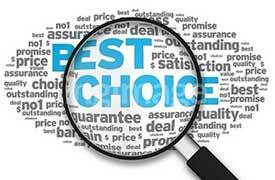 Customer feedback also a key factor in our review process. This entry was posted in Fat Binders and tagged Capteur de Graisses Comments, Défiligne Québec, Défiligne Shoppers Drug Mart, Défiligne Stockists QC, Défiligne Walmart Canada by admin. Bookmark the permalink.